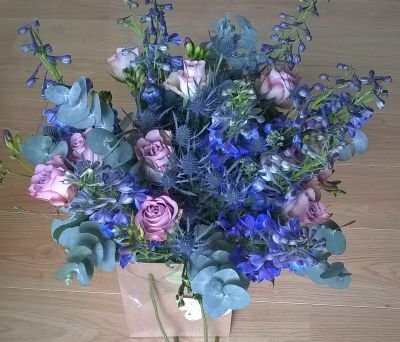 My hand-tie gift bouquets are made to a colour and flower preference of your choice. 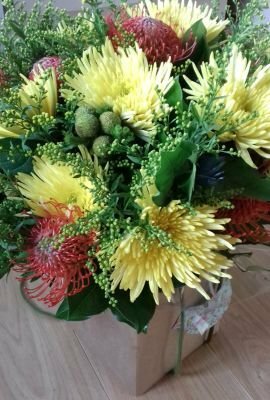 Likewise, I’m very happy to guide you through the types of flowers that are seasonally available and colours that complement each other. My bouquets are normally wrapped in cellophane within a self-contained water bubble and placed in a presentation box, thereby providing immediate impact and less need to self-arrange. My bouquets start from £25. Delivery within Hassocks is free of charge but I can deliver within a 10 mile radius of Hassocks for a small additional charge. 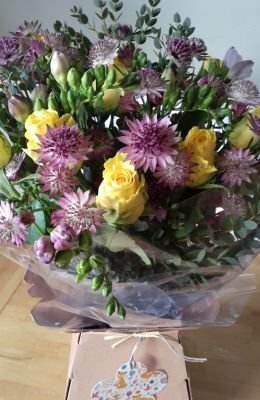 As a matter of course, I will email you a picture of the bouquet that's been delivered on your behalf.